A suspended police constable with a pending case before the courts of law was yesterday arrested for assaulting a civilian. Constable Makamure was captured by Sky News in a case of assault by security agents on Saturday along Chiremba Road. 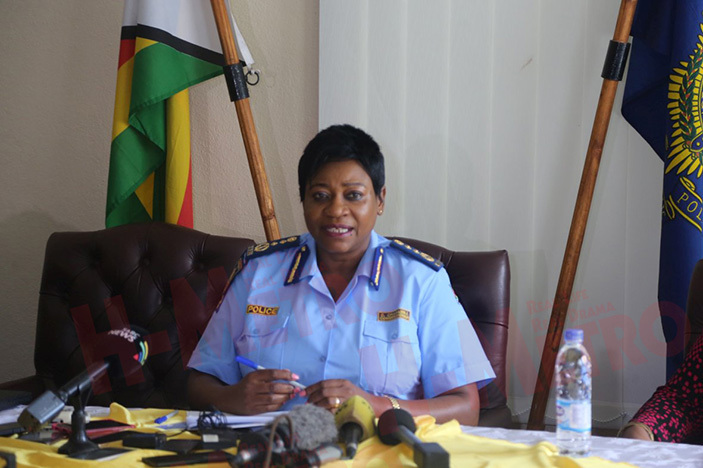 National police spokesperson Commissioner Charity Charamba confirmed the arrest appealing to members of the public who may have suffered similar ordeals to come forward and make reports at nearest police stations. The Zimbabwe Republic Police has made inroads into a case of assault by security agents, involving a handcuffed person along Chiremba Road, Harare as seen in a video clip by Sky News on Monday 29th January 2019,” said Commissioner Charamba. “Constable Makamure was suspended from performing active police duties sometime in September last year and is on bail facing four counts of theft. “Constable Makamure is seen in the video clad in civilian attire with a satchel strapped on his back assaulting the victim. “The member was not on official duty during the time of the offence as he is on suspension. He has since been arrested and is assisting the police with investigations in the current case. “The security services have always been emphasising that bogus and rogue elements are responsible for acts of lawlessness which are tarnishing the good standing of security services. “Earlier reports had indicated that the video was shot in 2016, however upon further clarification from the investigating team it was established that the video was actually shot on Saturday 26th January 2019. “Investigations are widening to account for the remaining members of the security services captured in the video,” said Commissioner Charamba.